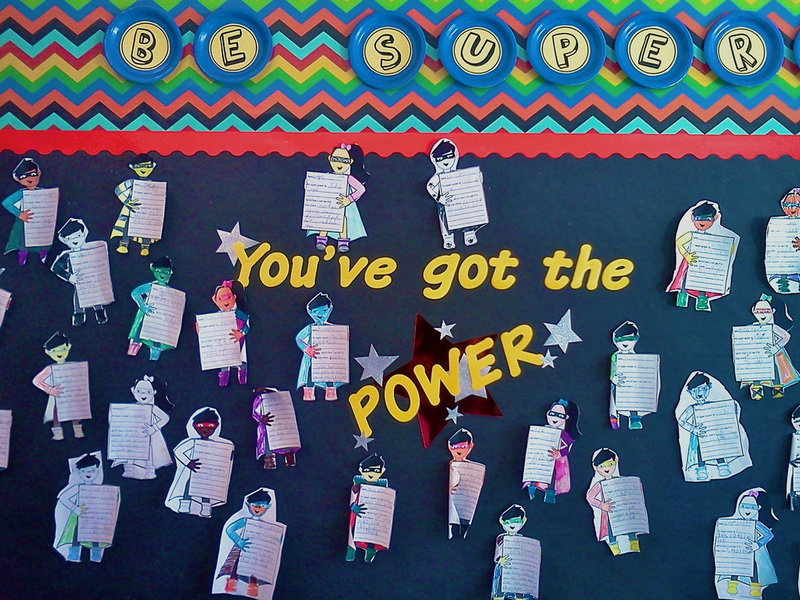 I've written a couple of blog posts about the 4-week social superheroes program I designed for our district's summer school. I've put together a folder with samples of my invitation, parent letter, and weekly newsletter for you to use as inspiration. You'll also find two activity sheets, a list of the group games we played, the recipe for homemade scented play dough, and my super social skills rubric. I'm still working on compiling a list of some of my activities for you. Check back later this week! 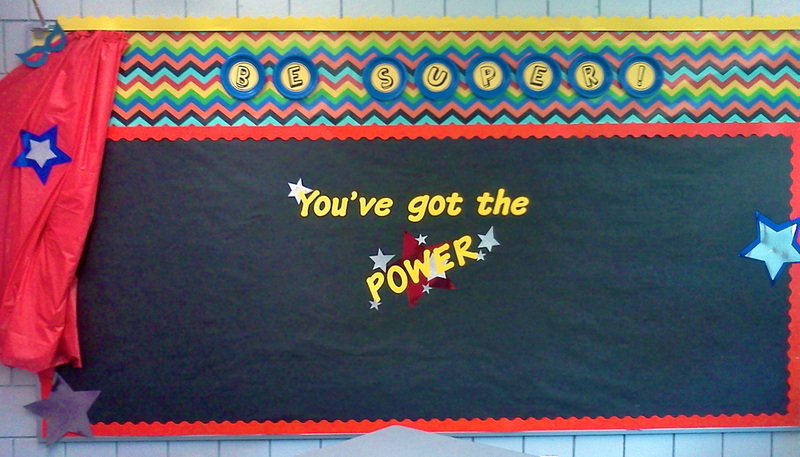 In the meantime, I've started my bulletin board and made the superhero-themed worksheet I'm going to have the kids fill in, color, and cut out to put up. If you'd like to have it, there's both a girl version and a boy version here. Help yourself to five free social group superhero brag tags I made for my summer social superhero group. 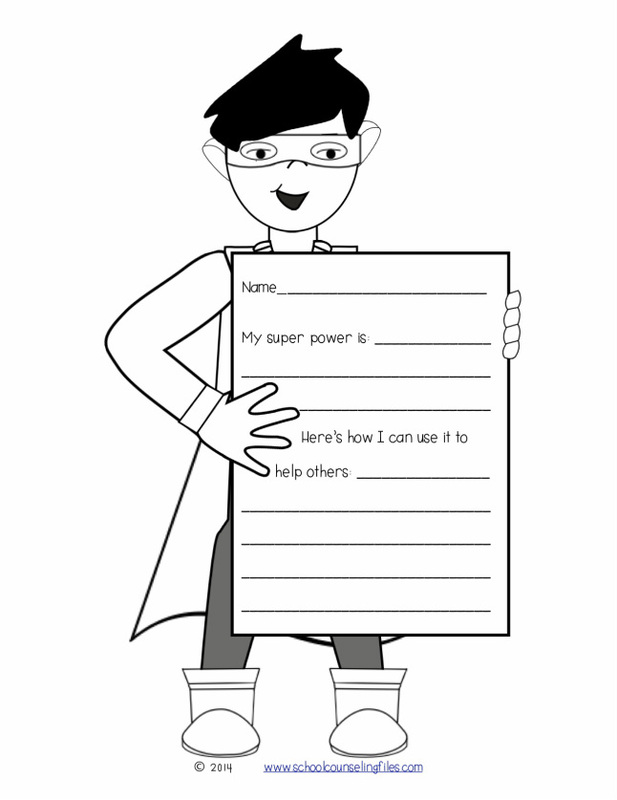 If you'd like a larger set of superhero social skills tags, check these out in my TpT store. 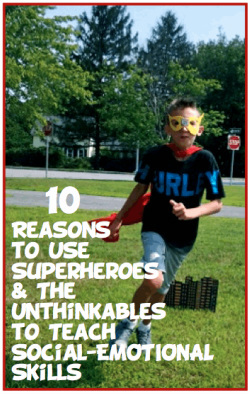 Or, if you're looking for some general social superhero power cards, you may like these. Or what the hey, you only live once. Get my whole social superheroes bundle at a greatly reduced price! Remember, I've got a kid in college, so it's a win-win! (Sorry, though, the power cards aren't included because they're brand new).